ART walked the Ponesk on the Upper Ayr today for the first time in well over a year to see how things were looking and to check if any salmon or trout had spawned or were looking as though they might. It was perhaps a bit early to expect to see salmon here. We didn’t see trout either but there’s bound to be a few about. Since the burn was moved to this artificial channel in 2011 (to allow coal extraction), the process of recovery has been steady yet salmon numbers remain low. 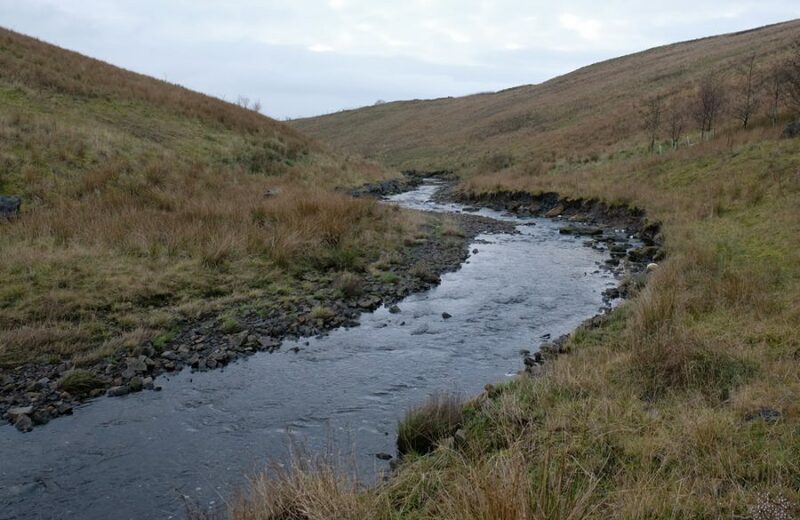 ART didn’t survey it this year but on previous occasions have found a low density salmon and moderate density trout population in the modified reaches. In time, there’s no reason to expect that numbers won’t increase to good levels. Upstream of the new channel and hidden out of sight from the road is an area that wasn’t restored and is unlikely ever to be. This was an old site and not included within the Spireslack restoration bond. With no funding for restoration, this will remain a legacy of past mining. ART expect the most limiting factor is the lack of salmon returning from sea leading to low numbers of spawners on the redds each year. 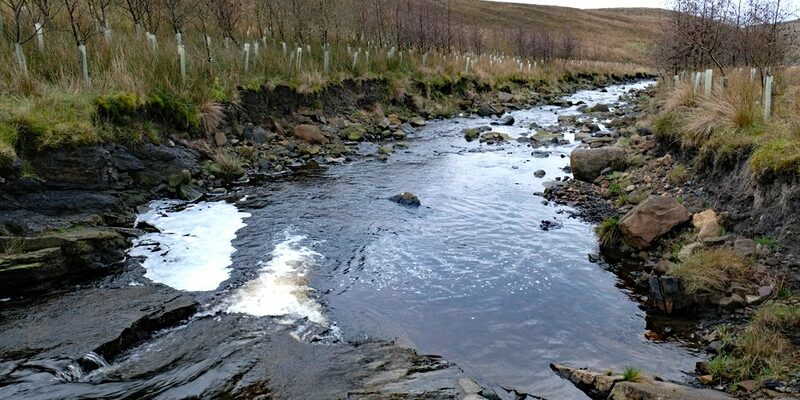 This is a problem across the Ayr catchment and limits smolt production considerably. 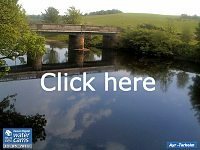 The habitat is improving and offers trout and salmon good opportunities to repopulate wherever and whenever they can or choose. The burn itself has altered from the constructed channel in several places but things appear to have stabilised in the last couple of years. Flow patterns have become more diverse and the entire stretch is naturalising as these changes take place. 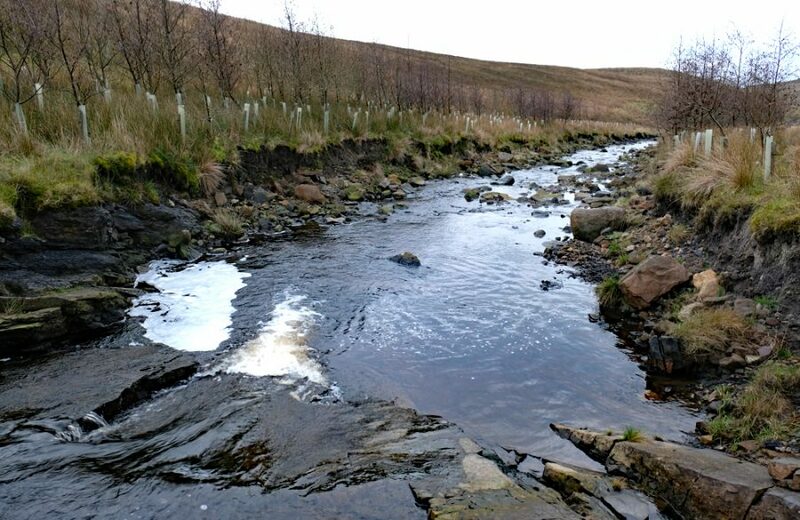 As trees develop, the burn is taking on a more natural appearance following the channel construction in 2011 to allow coal extraction. Crucial to this process is natural sediment transport which is now well underway. 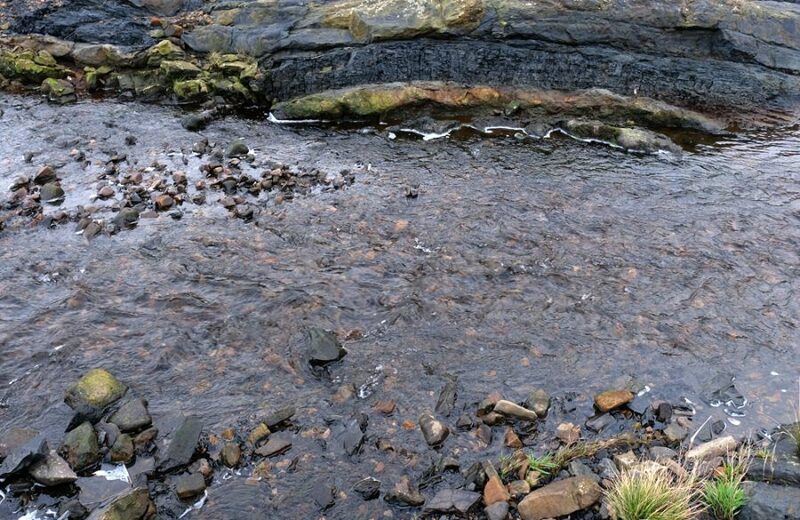 Abnormaly fine substrates left after the channel was created are increasingly being replaced with natural gravel, pebbles and cobbles moving from upstream. This bodes well for future spawning when it takes place. Slow to develop but natural sediment transport is underway and this improves the spawning potential with every spate. 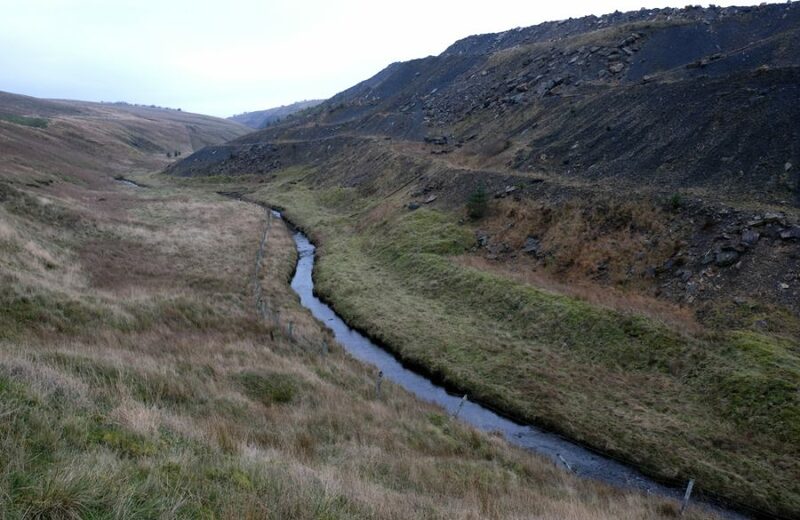 In time, true river substrates will be distributed across the lower burn rather than the thin layer of unnatural fine material left following the alterations. The image was taken in the lower burn confirming that natural recovery is well underway. 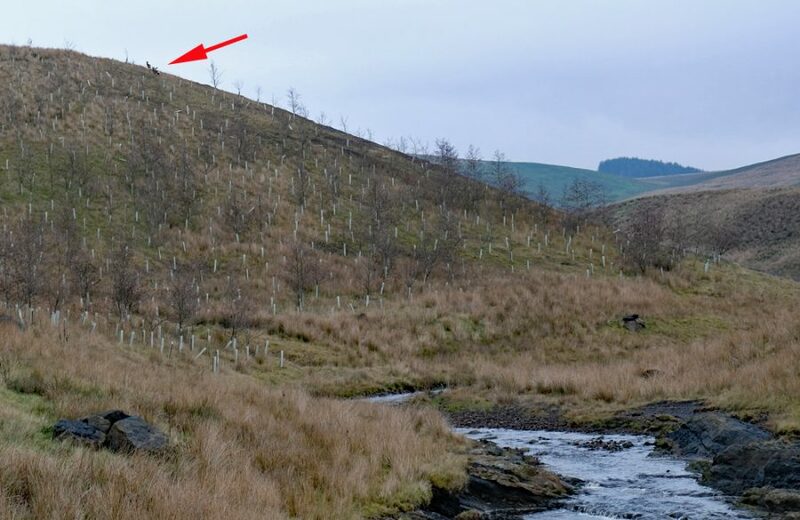 The trees planted in winter 2011 are developing or at least those not being grazed by roe deer are doing well. ART staff observed 4 or 5 deer today within a short distance. Many saplings have been nibbled as they emerged from the tubes. Some still survive but more than a few have died off after being grazed. It’s a shame as those that have been allowed to grow are doing very well. ART will seek permission to remove the empty and fallen guards as they can reuse them elsewhere and tidy the site up at the same time. Volunteers willing to assist collecting these old tubes should give ART a call as they will be looking for help once they receive permission. The recent restoration of the site completed by Banks Group PLC appears to have been relatively sympathetic and has addressed some of the issues raised prior to commencement. The iron inputs in the lower burn appear to have reduced and things were looking quite promising. ART will check back to the Ponesk in a few weeks an keep the Board posted of developments.